This is very common problem with every parent. But it is quite a funny in many cases. Parents face a lot of issues to handle when they take their children for shopping. Its mainly because the kids really want their parents to buy them all they see on their way very attractive. Many stores and malls benefit knowing this attitude of kids. So they keep the most impressive toys or other child plays in focus. Many parents want their kids to be brought up very healthy but mostly they get tensed when their children keep pestering them for some candies or ice creams. They create a fuss out there by which the parents are forced to get them all they want. Most people neglect to take children when they shop because they need to take special care of them amidst such heavy crowds in malls. They need to be very conscious of what they do to avoid any problems. People with low income levels avoid taking kids out because they need to spend a lot to keep their child’s wants. So many a times when they take out they are forced to return home after beating the kids. This will create a lot of tension and emotional attacks on them. Try choosing a mall or a grocery which is less crowded to avoid child cranks. This will not only save your time in shopping but also you in returning home at peace. Spend time to talk to your child before talking to the mall as this would help in behaving disciplined. Tell that you will satisfy their wants if they keep good. Talk to your kids more positively, if you turn to say no to everything they want they may behave indifferent which can lead to total dismay in the child’s brought up means. Keep your approach friendly and not too strict, make them understand of their mischief and ask them not to repeat again. In case if they failure to adapt to their promises, try telling them beforehand what can the possible punishments be. This will keep them little careful. But never have a mind set up that they will obey you when you beat them. This will totally spoil the show. It will tend them to hate obeying your ideals. 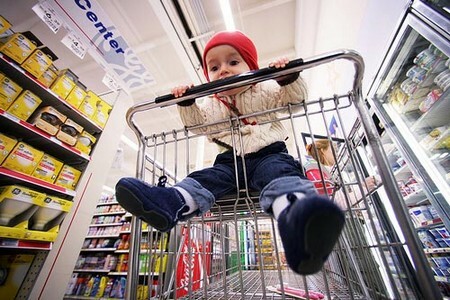 The above will help you in taking care of your child in shopping.